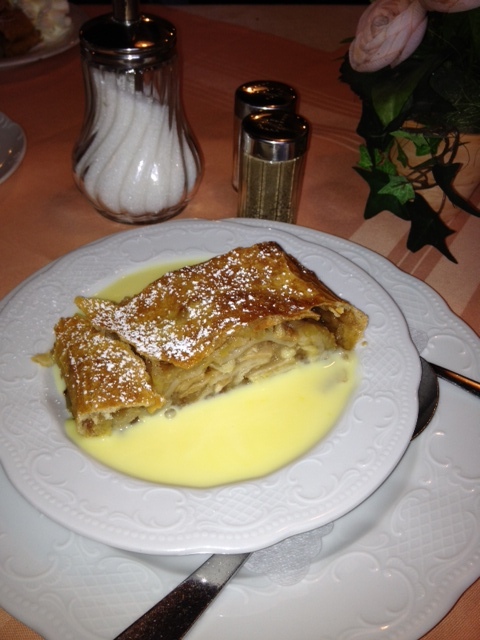 One of the great pleasures of Austria is strudel, both sweet and savory. A very popular restaurant in Old Town Innsbruck is ALL, strudel, all the time: the Strudel-Cafe Kroll. It is not always easy to find vegetarian meals in Austria, so we jumped at the chance to have spinach and cheese strudel for lunch in a charming small cafe. Of course the classic apple strudel is served everywhere in Austria, with a choice of either warm vanilla sauce or or a small mountain of whipped cream–or both. The truly decadent can always add a scoop of vanilla ice cream. What about snow? 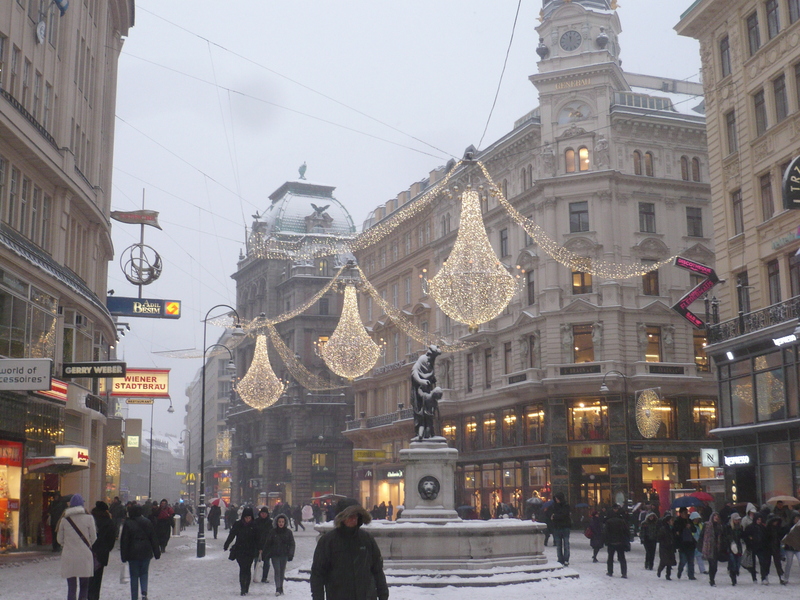 The holiday season in Vienna starts toward the end of November, when the Christmas markets open, sparkling lights go up all over the city, and beautiful music fills the churches and concert halls. In the past, we’ve been lucky enough to wake up to a city frosted with snow. This year? We shall see. We may not be lucky enough to have snow, but for sure there will be strudel. This entry was posted in Innsbruck, Uncategorized, Vienna at Christmas and tagged Innsbruck, Strudel-Cafe Kroll on November 22, 2012 by Claudia Suzan Carley.